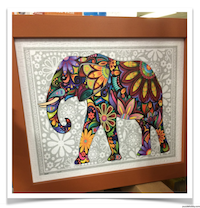 Pintoo jigsaw puzzles have developed a no glue, plastic product. The pieces are made of hard plastic and snap into place. 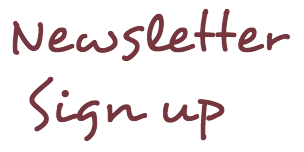 Once completed a plastic frame is available. 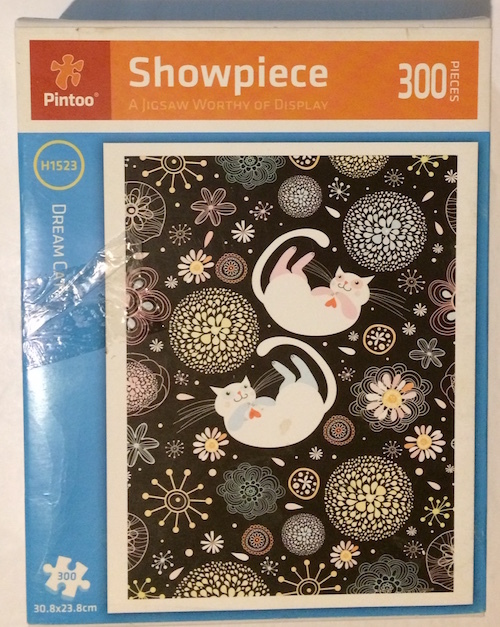 The series is titled "Showpiece Plastic Jigsaw Puzzles with Frame Sold Separately" so they are specific puzzles that are used with the frames. 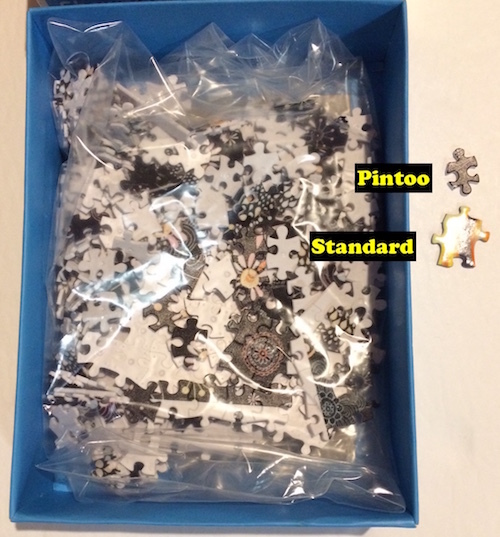 Pintoo QUOTE: "With superior durability and interlocking, Showpiece Plastic Jigsaw Puzzles stay together without glue even when picked up on it's own weight." 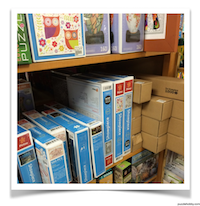 And it is true....I discovered these little GEMs while scanning a fantastic Toy Store for the latest jigsaw puzzle stock. 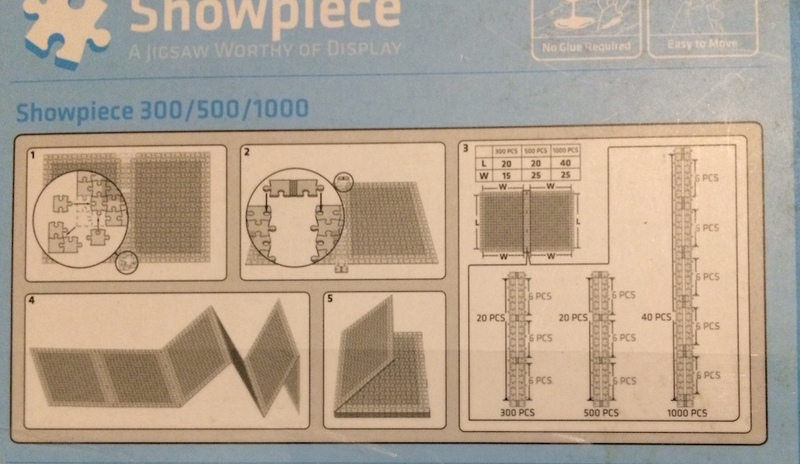 I thought they were worth mentioning because they come with plastic frames that the puzzle slips right into. The Store Customer Service Rep gave me a demo which impressed me. 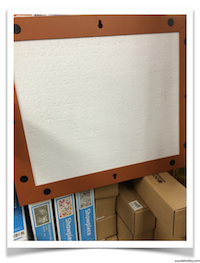 I could see that a "board" puzzle may also fit the frames if it was mounted to a sturdy but thin cardboard backing....just sayin' if you are interested in buying just the frame (to fit your puzzle) as shown in the skinny box photo. 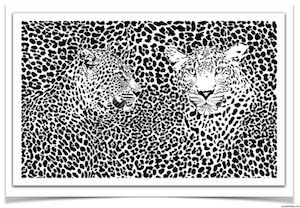 The puzzles are available in 3 sizes of 300, 500, 1000, 1600 and 2000 pieces and the frames are purchased separately accordingly. While the pricing is moderate it will make an excellent Christmas gift especially for children because of working with plastic pieces rather than the bendable board pieces. I have located the Pintoo Dream Cat in my jigsaw puzzle collection. 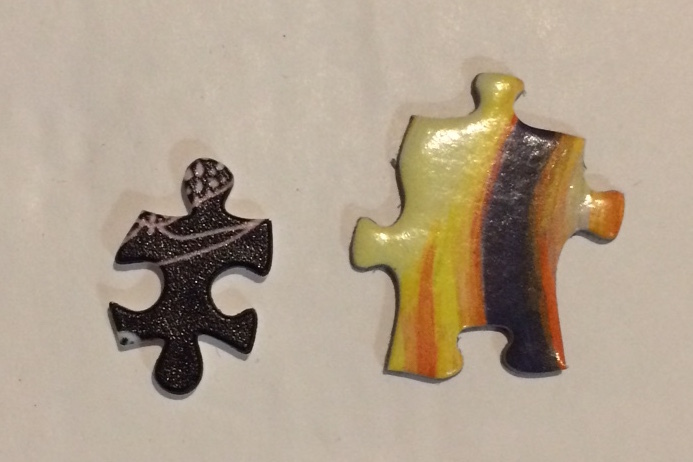 You can see a size comparison of the Pintoo pieces beside a standard cut puzzle piece. The 4th image is a picture on the back of the box indicating the grid/ribbon pattern showing the difference in the frame length and width.